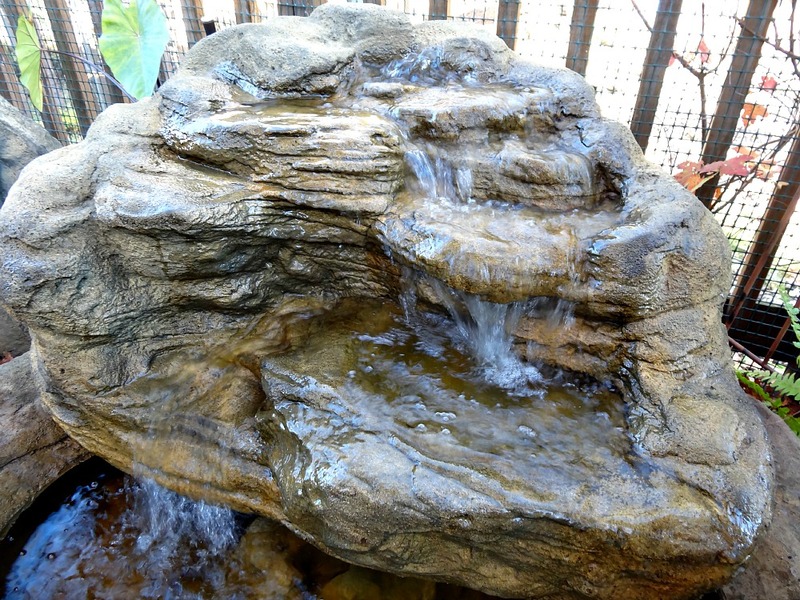 Looking to create an outdoor water feature or waterfall fountain for your home? Here at Everything Waterfalls, we'd like to suggest taking a look at some of unique waterfall ideas and themes to maybe help you in making your very own waterfalls garden for the backyard, patio and pool landscapes. Our exciting outdoor showroom of beautiful garden waterfalls can help show you many cool waterfall designs to start your own creative ideas for a water garden. 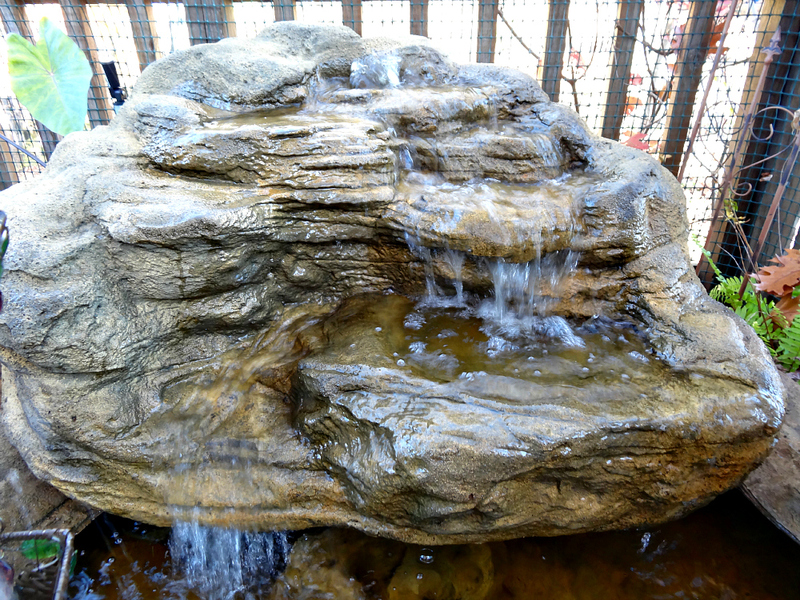 Our backyard waterfalls rock MW-004 with its detailed rock beauty stands about 24" tall while extending 42" long. 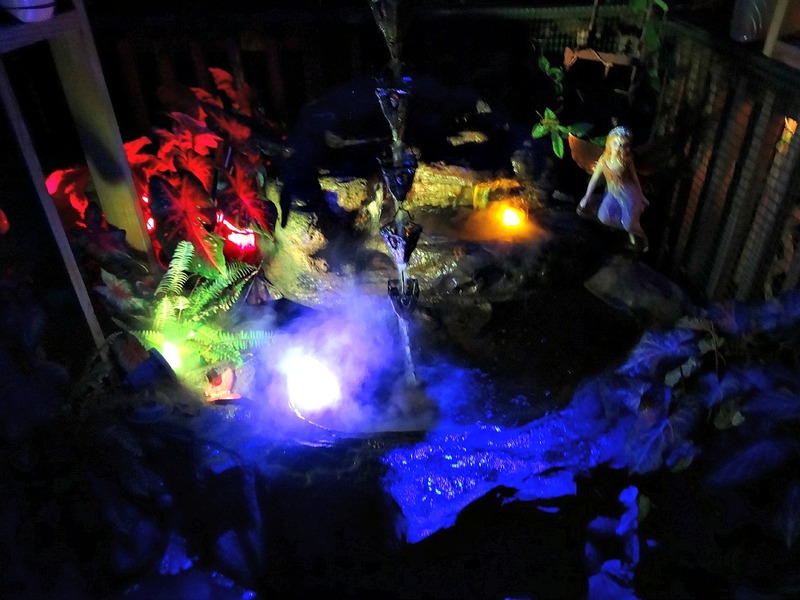 This eye-catching artificial waterfalls is part of our Tropicana swimming pool waterfalls kit and also a gorgeous garden pond waterfalls kit called Ruffled Waters. What makes our backyard waterfalls so gorgeous for the garden, patio & pool landscapes so realistic? 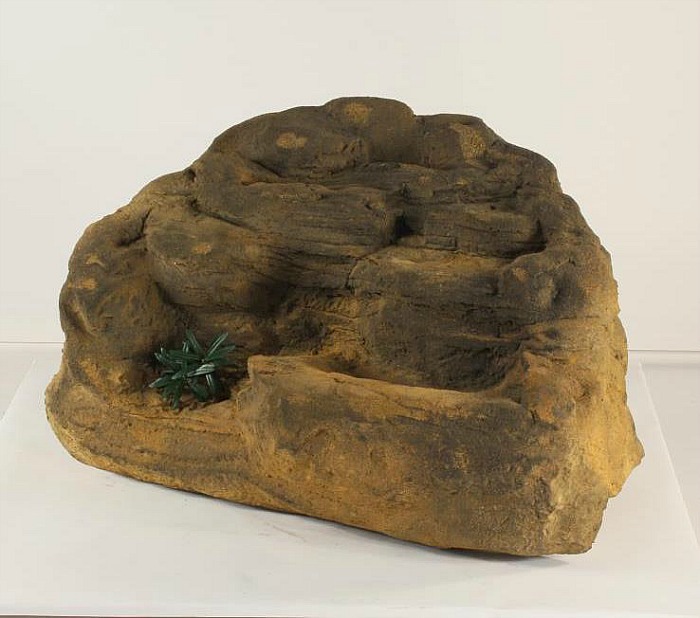 Our waterfall designs are castings from real rock formations showing off nature's incredible beauty and spectacular rock detail from many years of weathering and erosion sculpting. This is a pretty cool way to capture nature's artwork through the beauty of a waterfalls for your very own landscaping creation. 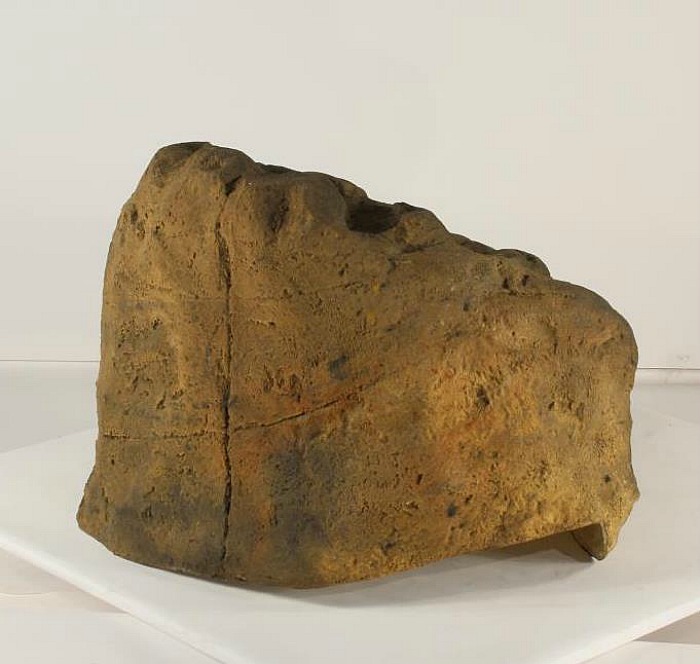 Many of our choice waterfall rocks come from Australia where some of the oldest rock formations in the world have been found. This garden waterfalls only weighs a mere 26 pounds while real rocks could be estimated at about 2,579 pounds. 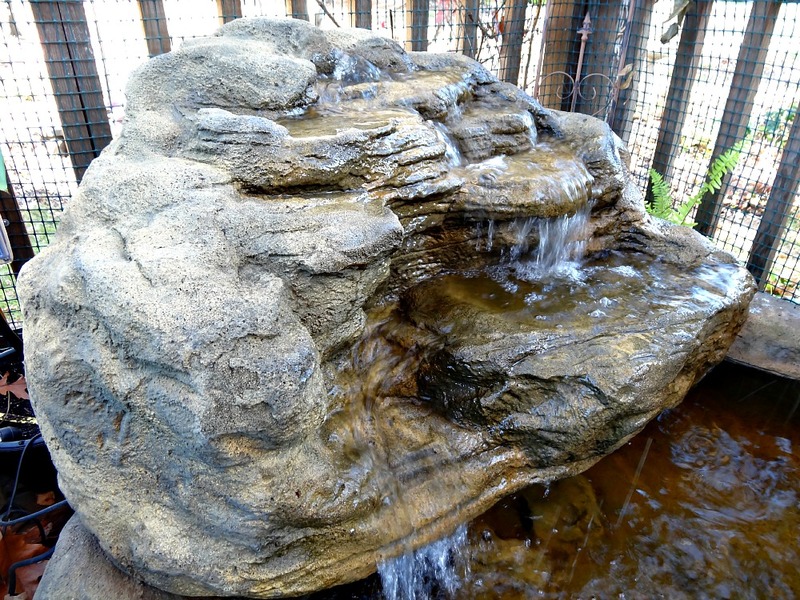 These custom waterfalls are fabricated from a unique combination of polymers with excellent strength properties and lightweight characteristics for the ultimate outdoor waterfalls. 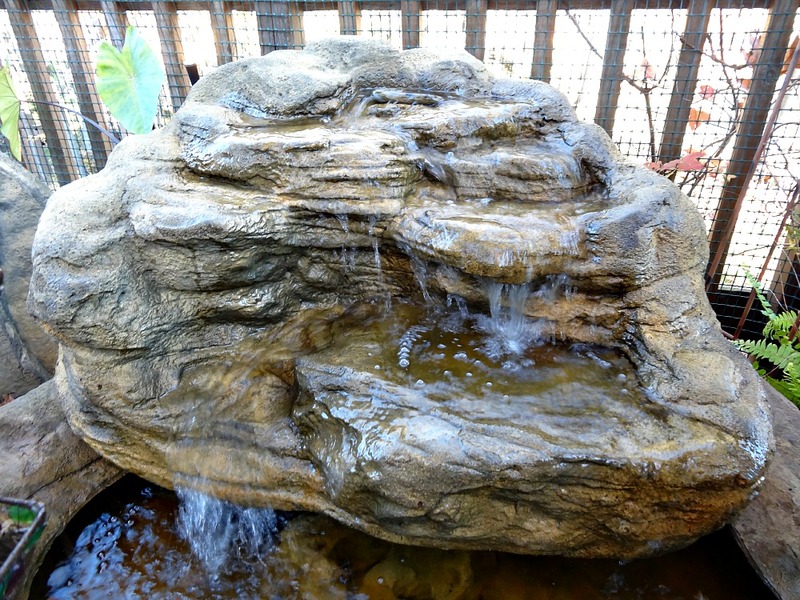 With our Universal Rock waterfalls we can make your waterfall dreams finally turn into reality for your very own beautiful water garden oasis. Nothings more satisfying for the home's landscape than for a special waterfall feature of peaceful & relaxing sounds of a real waterfalls.